Why do Honours in the Department of Immunology and Pathology? Each year the Department of Immunology presents the Nairn Award to the top Immunology Honours student in both the BSc and BMedSc courses. The award is in remembrance of the founding Professor of the department, Professor Richard C. Nairn. It is important to feel enthusiastic about your honours project, so students should feel free to talk to laboratory heads and staff within the department to find the best fit. It is equally imporant to find a mentor with whom you 'click' so that there can be a productive exchange of ideas in your honours year. Choosing the right supervisor and the right project will set you off on the right foot to a very exciting foray into the research world. Click here for details on available Honours projects. 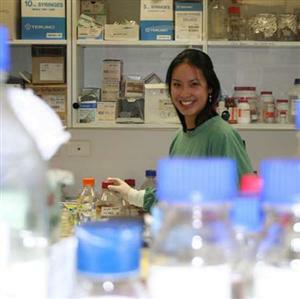 Other immunology projects available at Monash. Eligibility into the honours degree is based on undergradaute academic achievement. Students wishing to enter the degree must achieve a 70 per cent average in 24 points, with at least 18 points being in units relevant to their area of study. Further information on the BSc (Hons) degree can be found at http://www.sci.monash.edu.au/undergrad/honours/Students should discuss the potential of completing an honours degree with the honours coordinator to clarify any issues. Application forms for eligibility can be found at http://www.science.monash.edu.au/undergrad/honours/ Application forms must be signed off by the honours coordinator and submitted to the Faculty of Science by the closing date. Students who have completed a BMS undergraduate degree may be eligible to extend their studies and pursue an honours research year. Administration of the BMS honours degree is controlled through a central Faculty of Medicine, Nursing and Health Sciences honours committee, comprising academic staff from various schools. 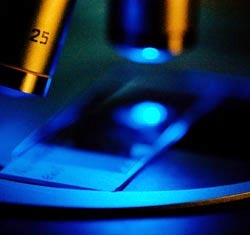 Application forms and information regarding eligibility and course details can be found at http://www.med.monash.edu.au/biomed/honours.